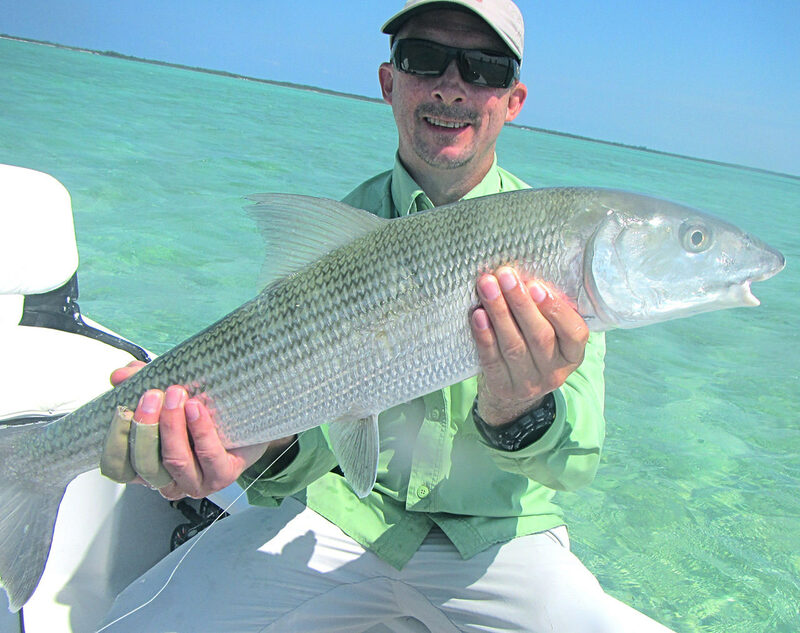 Swain’s Cay Lodge offers ideal Bahamas fishing vacations. 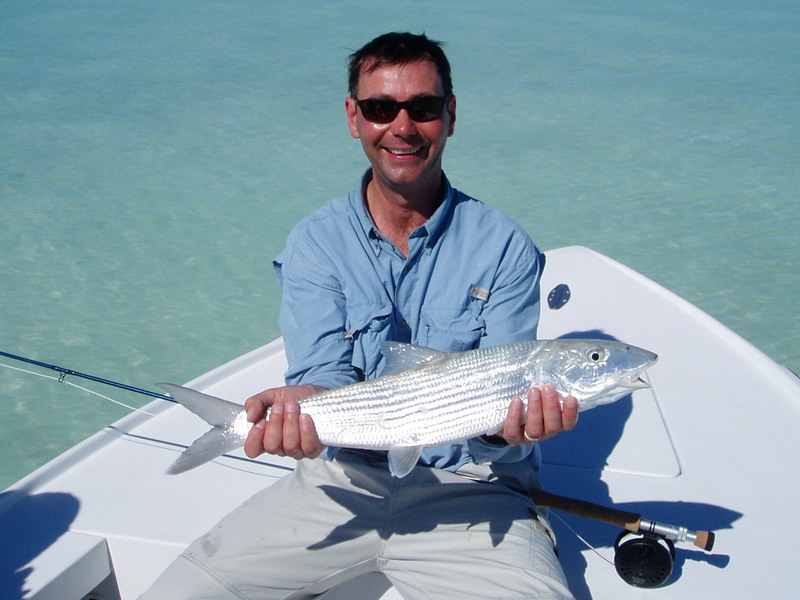 We are uniquely positioned on Mangrove Cay for easy access to either the South Bight or fabled Middle Bight of Andros. We have handpicked the best local independent guides who know just the spot for the wind and tide conditions. 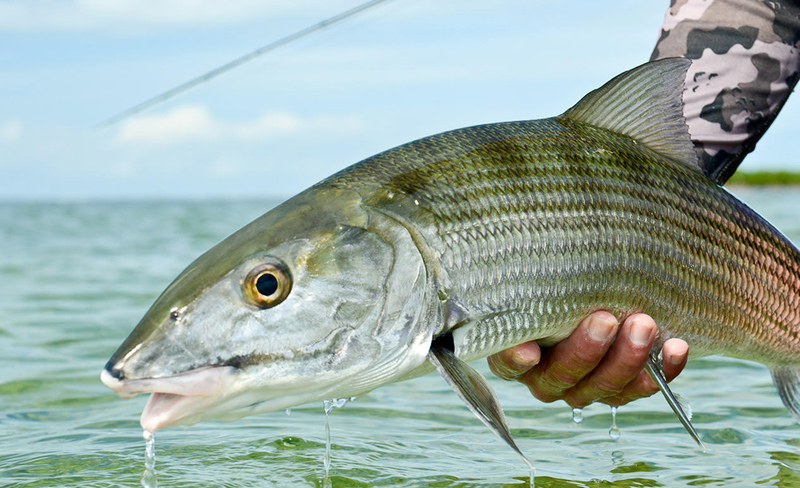 For more information or to include bonefishing in your package, please get in touch or download our fishing guide and price list. 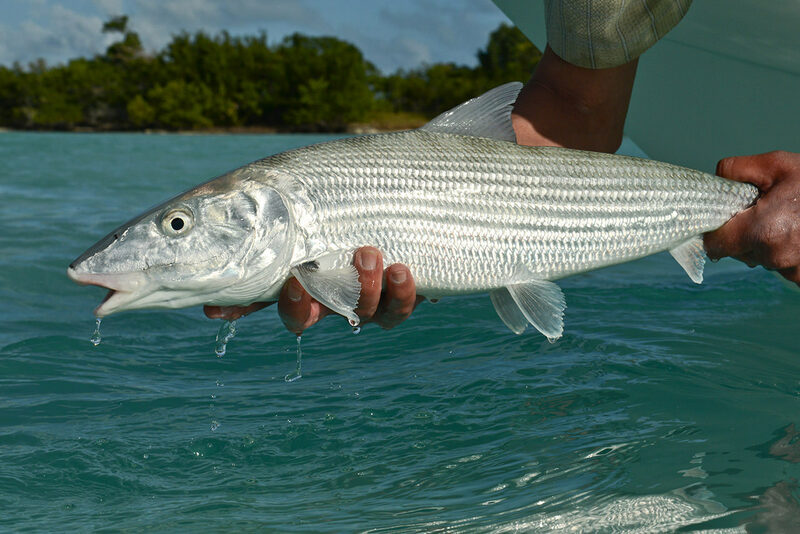 Take a look at our bonefishing gallery below to see the beautiful trophy fish that our guests have caught! 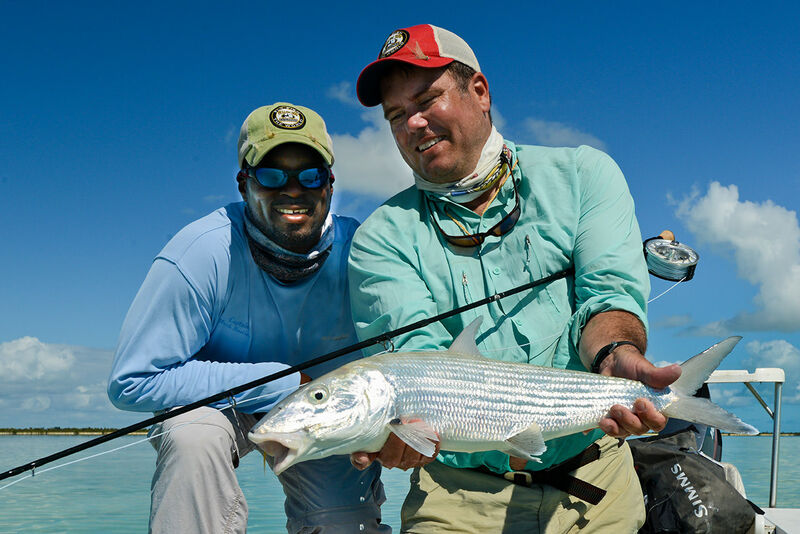 Our guides are local bonefish experts! 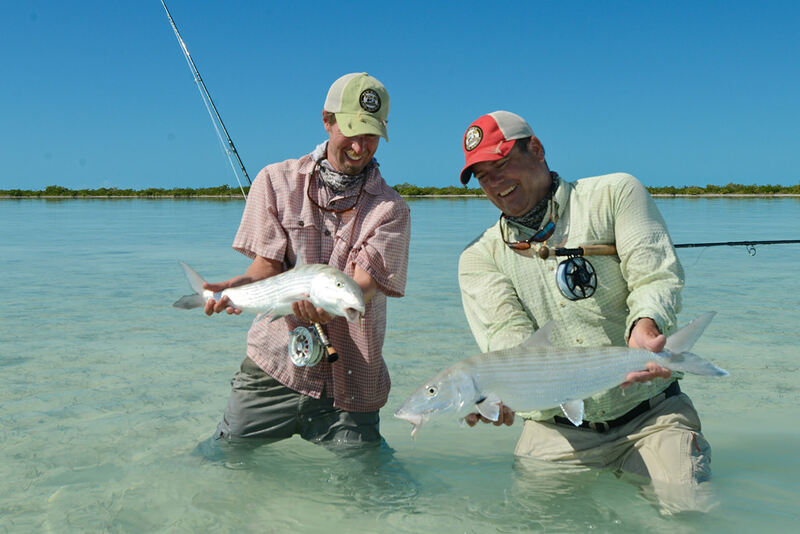 Grab a friend and come bonefishing!